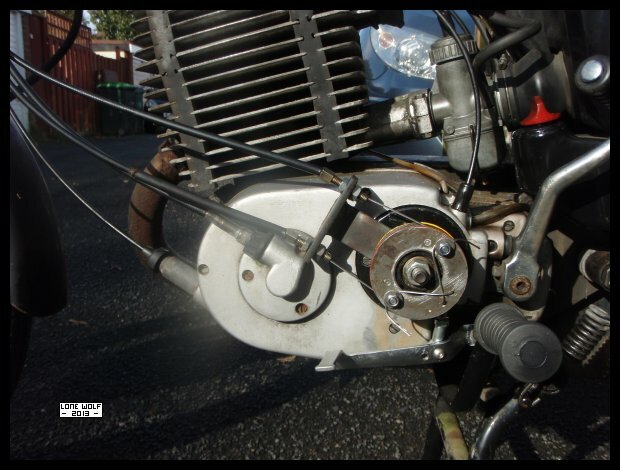 The MZ gets fitted with a hand gear change - this is the Mk1 version - more fettling to follow. Monday was more acupuncture over at the QE. Tuesday was the day the stitches came out of my right knee - I also ended up getting my flu jab whilst I was there. "parking in a disabled space and not displaying a blue badge" - Err - what's that blue thing on the top of the dashboard then ? Thursday was a nerve conduction study over at Manor hospital. Bottom line is . . . . .no working nerves in my left leg. . . .I guessed as much, but now it's official. Didn't really do much else for the rest of the week.